Your luxury watch is much more than just a way to keep track of time. If it’s properly cared for and given the right attention, it could prove to be a profitable investment. While it can’t be guaranteed that your watch will maintain or grow in value, by following the tips below you’ll ensure that you maximise the value of your luxury watch when the time comes to sell. You should aim to keep your watch in mint condition to ensure it holds its maximum value. Any imperfections, no matter how small, will reduce your watch’s value when you choose to sell. Different brands and models of watches can withstand varying degrees of treatment. Several brands produce ranges of watches that are carefully constructed to offer extraordinary durability. The Rafael Nadal range, by Richard Milles, makes use of an Incabloc system that enables the jewel bearings to withstand shock impact through intricately designed sets of springs. Theoretically, this means you could wear your watch for even the most demanding physical activities. However, to keep your watch in top condition, it’s a good idea to take your watch off for activities where it could be damaged and keep it in a safe and secure place when it’s not being worn. Use your common sense to avoid wearing your watch in situations where it could get wet. Contrary to what you might think, it’s also advisable to avoid polishing your luxury timepiece. A common mistake that inexperienced owners make is to polish their watch. They think that polishing is a way to maintain the shine of their watch and protect it from everyday contact with sleeves, fingers, and the effects of humidity. However, the effects of polishing can do more harm to your timepiece than good. Correctly cleaning a watch requires an ultrasonic bath and thorough degreasing on a material that cannot cause any scratches. By polishing a luxury timepiece without carrying out the proper precautions, you can cause microscopic damage and scratches. 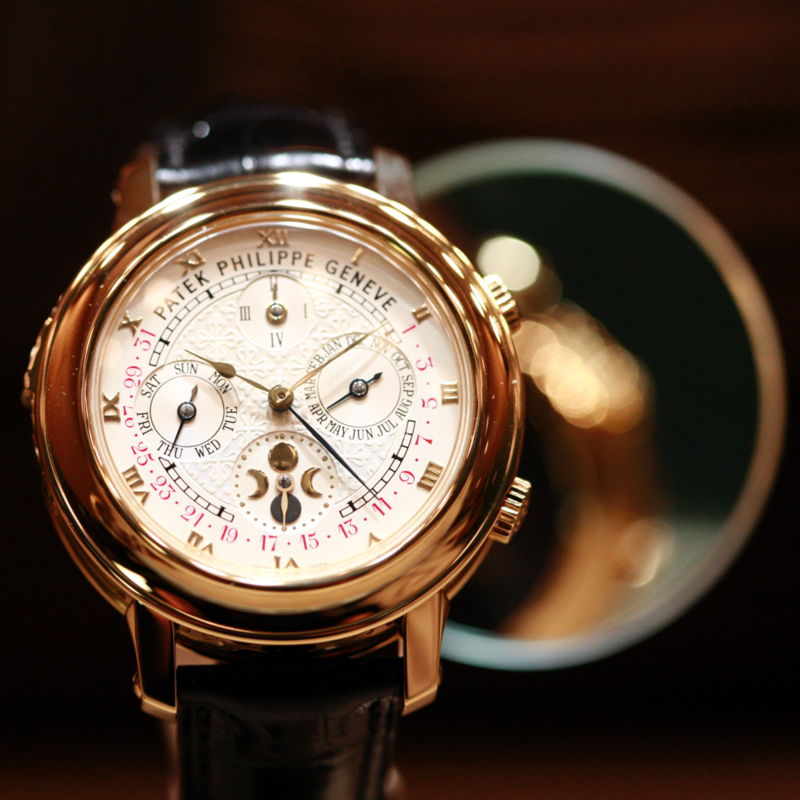 It’s very hard to predict the trends in value for different watches in the long-term. Some models are particularly sought after at auction, such as the Nautilus 2499. While it may have been easy for experts to predict the groundbreaking Nautilus as a watch that would hold its value, that can’t be said of the Paul Newman Daytona. The Paul Newman was an unexpected success and is now always in demand when up for auction. While it’s difficult to predict the value of a watch over a long period, it’s easier in the short term. Sought after models will always maintain a reasonable resale value for their first five years, especially if you are smart in selecting the right model when your first make your purchase. Special editions of popular models, like the Spectre limited edition of the Omega Seamaster, offer the best opportunity for profit on investment in a luxury timepiece. It can be a dangerous belief that supporting documents prove a watch’s authenticity. If a fake watch is constructed to a convincing standard, then it’s safe to say that the convincing paperwork could also be fake. However, luxury timepieces that are sold without supporting documentation always sell for a lower price than those that are sold with it. So it’s a good idea to ensure your registration card and all supporting paperwork is kept safe and in great condition. Regular maintenance is vital to ensure a watch holds its value. Luxury timepieces are designed and built by specialists with expertise in what they do. The same specialist knowledge is required to keep your watch in top condition, so keep your watch serviced regularly. The recommended interval between services varies by manufacturer, with most brands suggesting a full service every 3 to 5 years. However, to maximise your watch’s value you should have it serviced every two years. If you own a submersible luxury watch, it should be serviced every year to ensure that it maintains its water resistance. Think of your luxury timepiece as a miniature engine that powers tiny instruments in constant motion. To let the engine of your expensive luxury car go without a service for 2 years is unthinkable, so why is it any different for your expensive luxury watch? A service entails the moving elements of your watch being delicately taken apart and cleaned. All of the seals and any parts that show signs of wear are replaced before it is oiled and reassembled. Your watch is tested and regulated to ensure that it is in top condition and performing as well as it did when it was brand new. Having your watch regularly serviced and revalued also offers insight into whether your model has appreciated in market value and if it’s a good time to sell. If you are looking for more info on the loan process of our award winning Mayfair pawn shop please see our video here and read about it here. For more specific information on our loans on fine watches please click here. Some of the many watch brands we loan against include: A. Lange & Sohne, Breguet, Breitling, Bulgari, Cartier, Chopard, Harry Winston, Hublot, IWC, Jaeger LeCoultre, Omega, Panerai, Piaget, Richard Mille, Roger Dubuis, Tiffany, Ulysse Nardin, Urwerk, Vacheron Constantin, Van Cleef & Arpels, Audemars Piguet, Patek Philippe, and Rolex to name just a few.